﻿ Residual Sugar Reagent Kit – Vinmetrica – Sulfite (SO2), Malic, Alcohol & pH/TA tests for Wine, Beer & Kombucha. Please note: The Residual Sugar Reagent Kit contains products that must be stored either frozen or refrigerated upon arrival.Please ship the product to a location where someone will be to receive it. Instructions for storing can be found on the individual reagent bottles as well as in the manual. Please contact info@vinmetrica.com for more information. 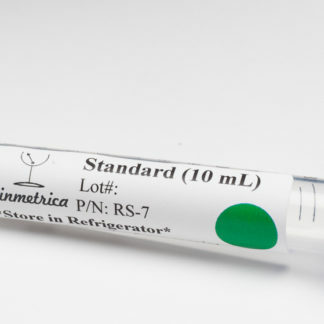 The Vinmetrica Residual Sugar Reagent Kit gives accurate and reliable residual sugar (glucose + fructose) concentration levels in both red and white wines and other samples. 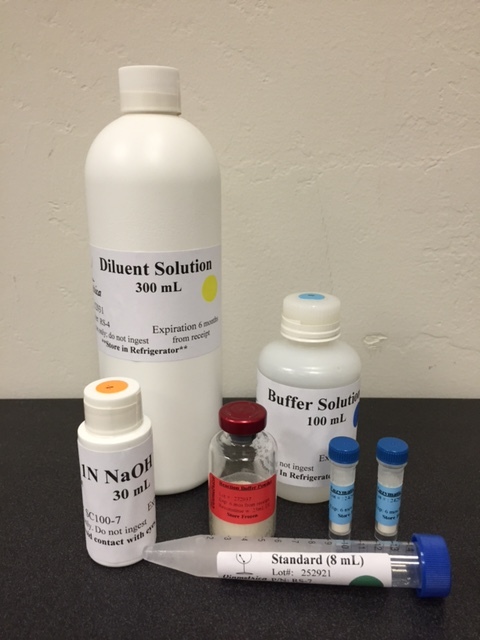 The kit provides enough reagents for up to 24 tests. This allows you to run up to 22 tests with at least one Residual Sugar Standard and one Blank. Note: You must always run a blank and a standard each time you assay one or more samples. With the 12 plastic vials provided in the RS Labware Kit, this allows you to run up to 10 tests at one time, with 1 Standard and 1 Blank. If you would like to run all 22 tests at once, additional plastic reaction vials will be needed. Additional Plastic Reaction Vials are available (Part Number: RS-8). The all-new Residual Sugar Reagent Kit from Vinmetrica is the perfect add-on to your SC Series device. The reagents work with the equipment you already have! The Residual Sugar assay can be performed with the SC-200and SC-300 devices. With the pH electrode, the Residual Sugar assay aids the winemaker in the determination of glucose + fructose in wine. The accuracy of the SC Series devices carries over into the functionality and reliability of the Residual Sugar Reagent Kit. No more fancy lab equipment necessary for testing Residual Sugar. 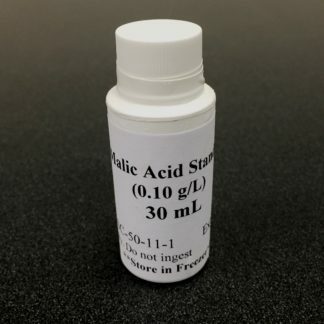 With the use of this simple set of reagents, the Residual Sugar Reagent Kit gives you fool-proof readings down to 300 mg/L or +/- 10% of the value of residual sugar in your wine. Because you are not required to buy another piece of expensive lab equipment, the Reagent Set saves you time and money! NOTE:You will need an SC-200 or SC-300 pH analyzer (or equivalent pH meter) in order to perform the Residual Sugar Assay. Please visit our products page for more information regarding ordering. Both SC series analyzers will provide the same accuracy. 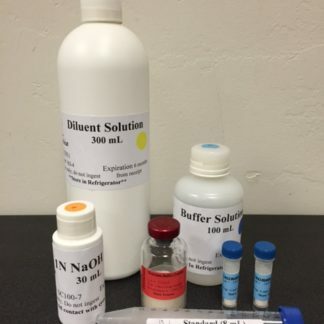 NOTE:We highly recommend you purchase this plastics kit when you purchase your first Residual Sugar Reagent Kit. The plastics are re-usable and only need to be purchased once. 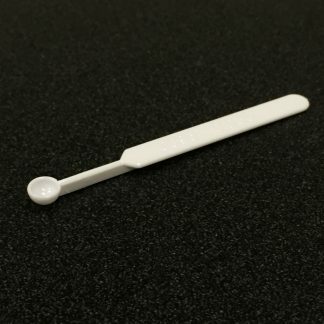 All the plastics can also be purchased individually on our ‘Plasticware & Replacement Electrodes’ page. The Residual Sugar Assay allows you to measure the residual sugar in your wine by pH. The reagents and enzymatic powder cause a drop in pH when residual sugar is present. i.e the more residual sugar in your wine sample the greater the drop in pH. 1. Dilute your wine sample and adjust the pH your to about 8.2 (in pH mode); record this measurement. 2. Add enzymatic powder and reaction solution to wine sample. 3.Allow sample to incubate at room temperature for 20 minutes. 4.Read final pH at 20 minutes. 5.Calculate change in pH,plug this value into the equation given in the manual. The Assay gives you accurate residual sugar concentrations using a simple calculation. Why Choose the Vinmetrica Residual Sugar Assay? The Residual Sugar Reagent Kit is accurate and more convenient than using expensive laboratory equipment. With the accuracy you need and the dependability of Vinmetrica’s products, the Residual Sugar Reagent Kit is perfect for your analyzing needs. Easy & Safe to Use! Customer support is available Monday through Friday 9 am – 5 pm and Saturday from 10 am to 5 pm. We are committed to providing the best support for our products. We hope that we may assist you in making our products work for you. If contacting us after hours, feel free to leave a message, by phone or email, and we will return it as soon as we can. Our contact information is available on the bottom of this page.